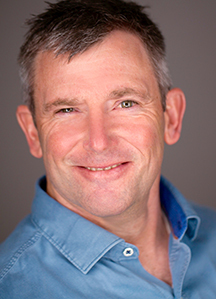 Dr. Stephen Smith is a nationally-recognized periodontist with over 15 years of experience. As a Diplomate with the American Board of Periodontology, Dr. Smith provides extraordinary service that is centered on the highest degrees of knowledge, skill, and experience. He earned his Bachelor of Science degree from University of California at Davis in 1986. In 1990, he graduated from the University of California at San Francisco with a Doctorate in Dental Science. Dr. Smith was then accepted by Buchanan Dental Clinic to pursue his Advanced Education of General Dentistry (AEGD) certification. He went on Tufts University in Boston where, in 1993, he received his Periodontal Specialty Certificate. Dr. Smith treats patients throughout Northern California at two locations, one in Carmel and the other in Morgan Hill. When Dr. Smith is not practicing periodontics, he enjoys fly fishing, golfing, traveling, cooking, and spending time with his family.